In an alarmingly-titled new expose called “US rapper Wiz Khalifa in Colombia drug lord row,” the BBC has called attention to some vituperative backlash to a recent set of Instagram posts by the rapper and Taylor Gang head honcho. On a recent trip to the country, Khalifa visited the grave of Colombia’s most notorious celebrity–drug lord Pablo Escobar. One of Wiz’s Instagram posts taken at the site showed Escobar’s grave adorned with flowers and a freshly-rolled joint. There’s been no official confirmation as to whether Wiz put the joint there himself, but as the BBC emphasizes suggestively, the rapper is a “a prolific consumer of marijuana,” and he caption the picture with a emoji of a gift. 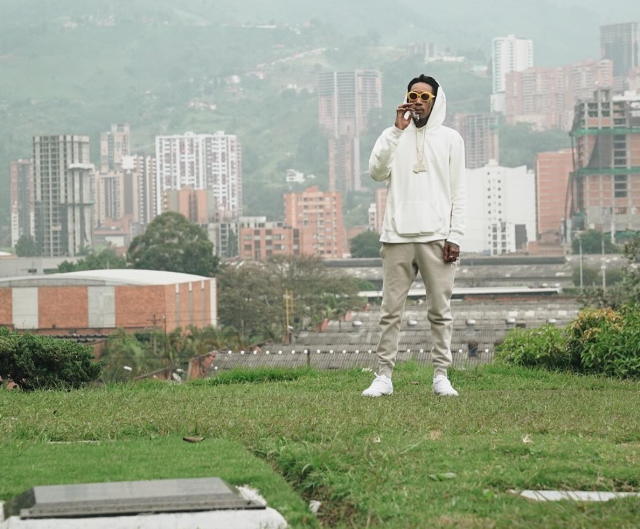 Wiz’s IG post came to the attention of Federico Gutierrez, the mayor of Medellín, who called Khalifa a “scoundrel” who was “advocating crime.” He suggested to the BBC that Wiz should have brought flowers (and probably not a joint) to the graves of some of the thousands of people who died as a result of Escobar’s tyrannical and violent reign over the Colombian cocaine trade in the 1980s and 1990s. “It shows that this guy has never had to suffer from the violence inflicted by these drug traffickers,” Gutierrez claimed. I want to go to the studio. But I also want to get baked and watch Narcos. Do things the way you want to. Let others follow but always do what works for you best.